Apple’s first product, the Apple I, is now more than 40 years old. The processor was a MOS 6502 running at a mere 1MHz, and it only came with 4KB of memory. Emulating the OS takes very little power. That last point is where the maker-favorite ESP8266 comes in. 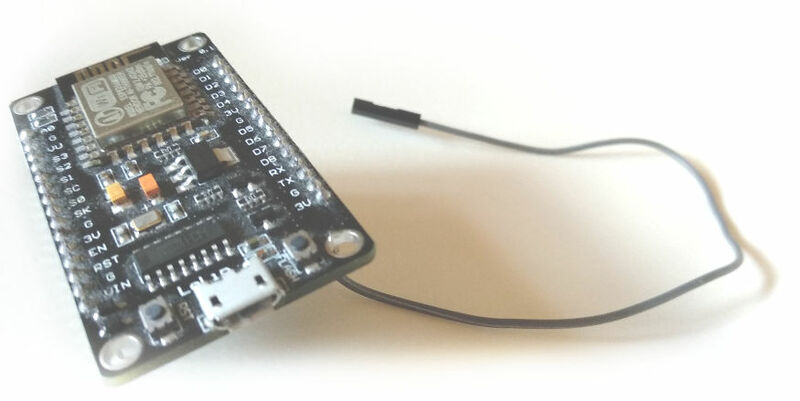 The ESP8266 can be purchased for as little as $3 and has a 80MHz processor. Hrvoje Čavrak’s Espple project handles everything wirelessly—even RF video output to a TV. High frequency modulated video signal is generated internally (via I2S/DMA) and all you need is a single piece of wire to play antenna. Even though it’s extremely weak, it can still be picked up on your TV in the same room. The chosen video system is 625 lines CCIR system B (basically PAL B without the color).